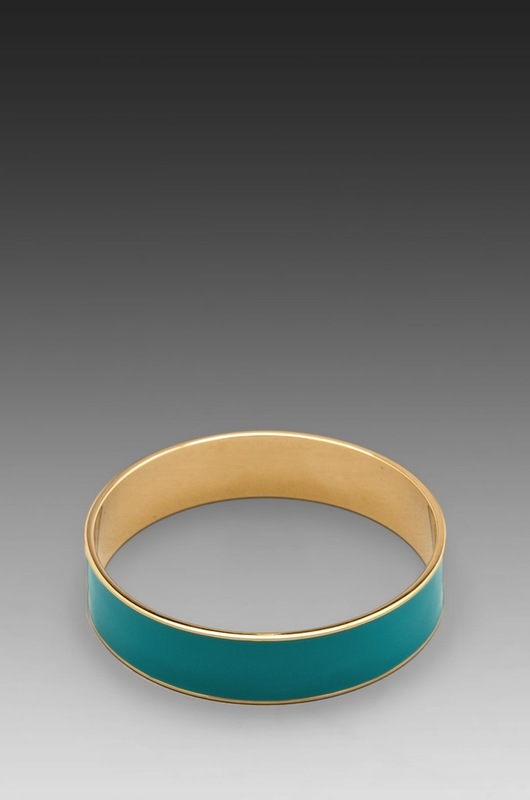 Bangle measures approx 2.5" in diameter and 0.5" wide. 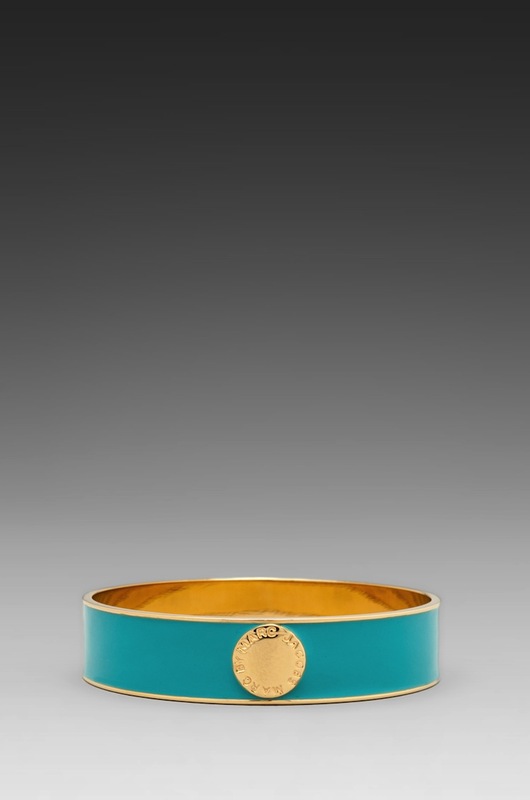 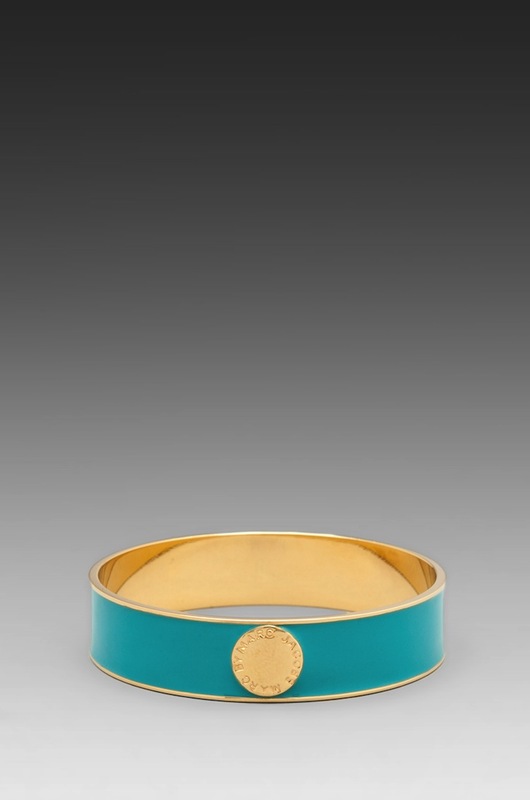 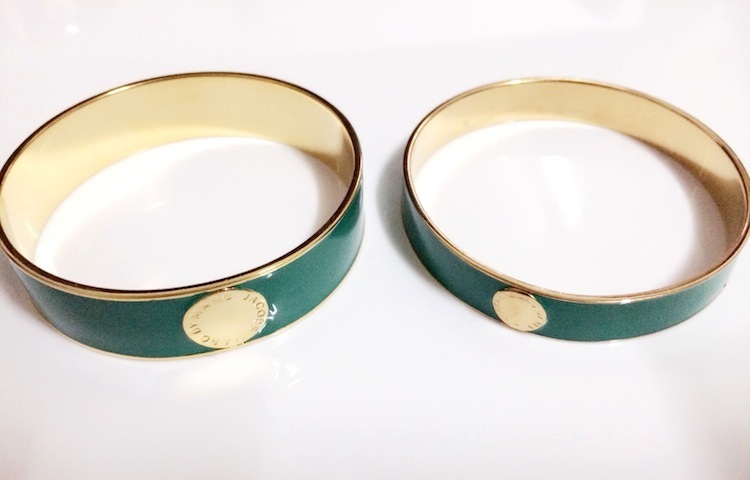 Enamel and 10k gold plated bracelet. 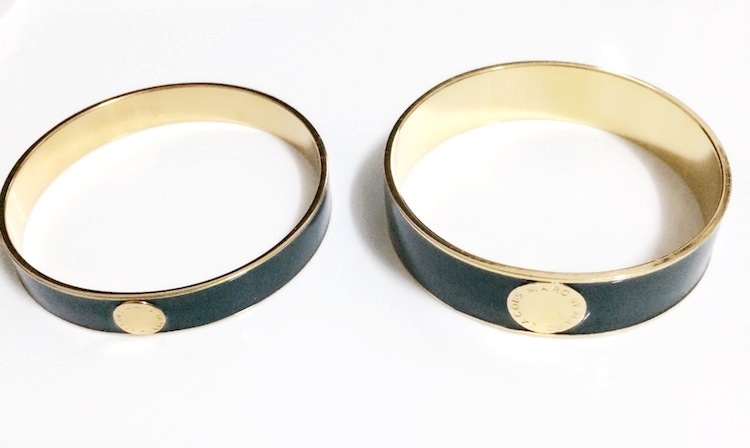 Engraved logo disc accent.